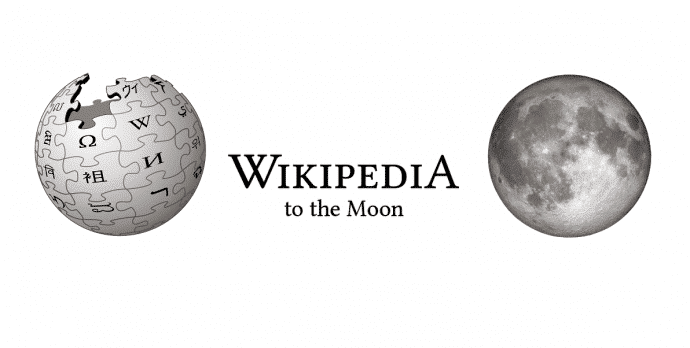 In the year of Wikipedia’s 15th anniversary, a group of science enthusiasts from Berlin, Germany, are planning to send their own customized rover to the Moon and also take the Wikipedia with them. The Moon rover that the part-time scientists are building has room to send pictures of the Moon back to Earth, once it lands safely on the surface. However, it comes with a data disc that has been offered by the German Wikimedia Chapter, Wikimedia Deutschland, in order to use for Wikipedia. Wikimedia Deutschland has been offered space on a data disc to be carried by one of the five image-gathering rovers still competing to land on the Moon by 2017 for the Google Lunar XPRIZE challenge. Basically, this so-called payload is used for scientific experiments. However, with a limited capacity of only 20GB of space, all the Wikipedia communities have been called upon to agree on which content should be included by June 24. In order to meet the payload deadline for the Moon rover, all Wikipedia communities have been called out to work on a project with limited space and finish community discussions, decisions and content preparations by the International Volunteers Day (5th December) 2016.